One can easily see why that would be drafty. It worked better than nothing, that’s for sure, but it was drafty. Here is a picture of the Fancher’s product installed. It’s a perfect fit, and snaps into the same snaps as the rear hatch screen. Installation is a “snap” (pun intended)! Like part 2 and 3 of this series, this test was done on the evening of December 31st, 2016. Actually, between 2am and 3am on January 1st, 2017. 🙂 I won’t post my baseline temperature pictures again, as those can be seen in part 2 and 3. 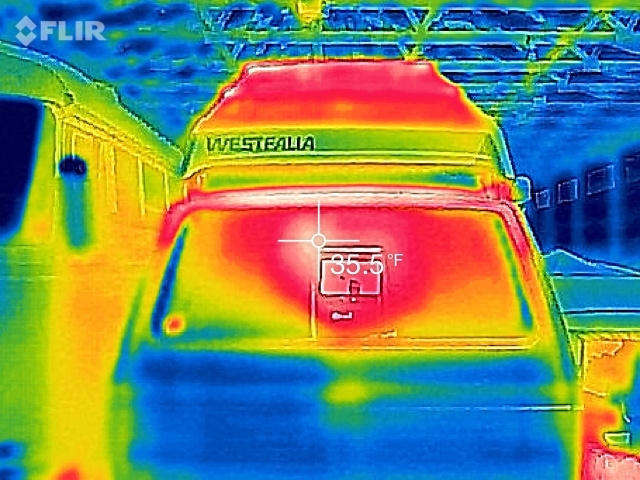 I will state the temperature in the barn was about 29 degrees Fahrenheit, and the inside of the van was about 70 degrees Fahrenheit. 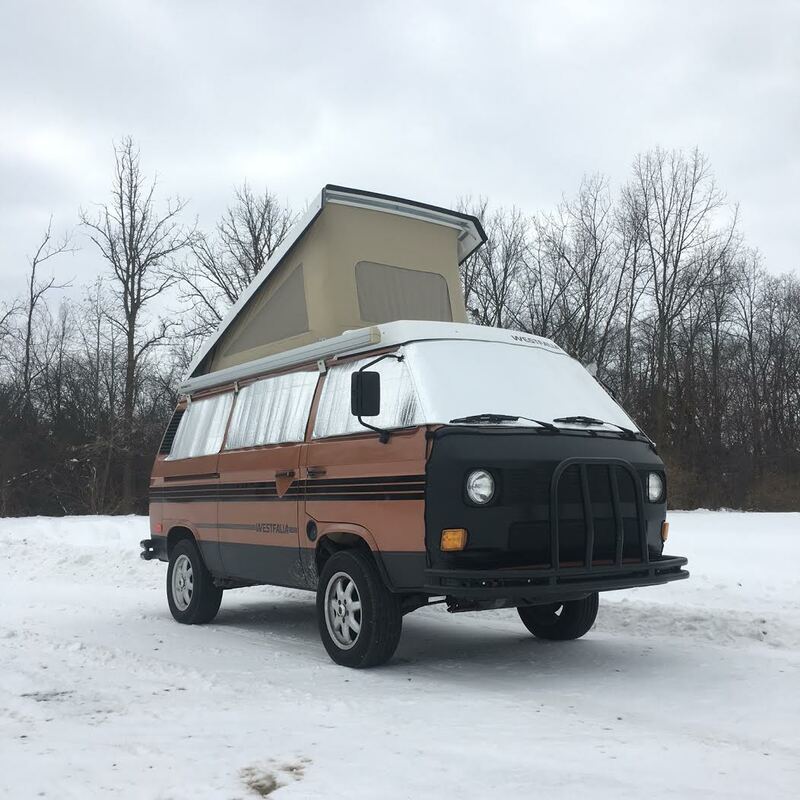 NOTE: Thinking back, I had the barn door open for a while when these pictures were taken, and the back of the van is just a few feet from where the door is when closed. 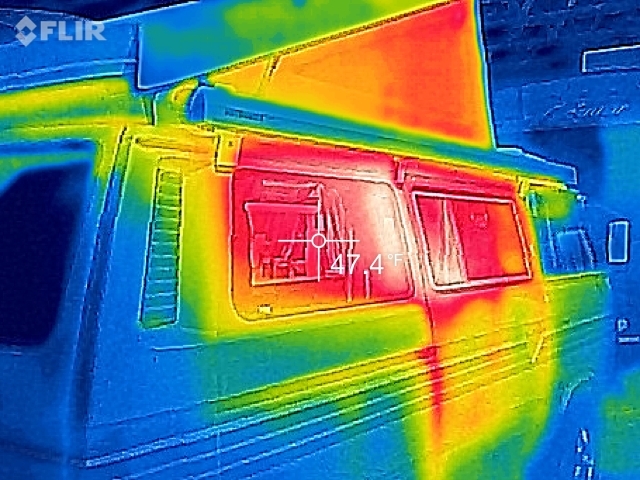 I didn’t take a thermal temperature reading of outside, which I probably should have done. It was later in the evening too, so the temperature probably dropped a bit (probably closer to 20 degrees Fahrenheit outside by this time). Let’s get started! 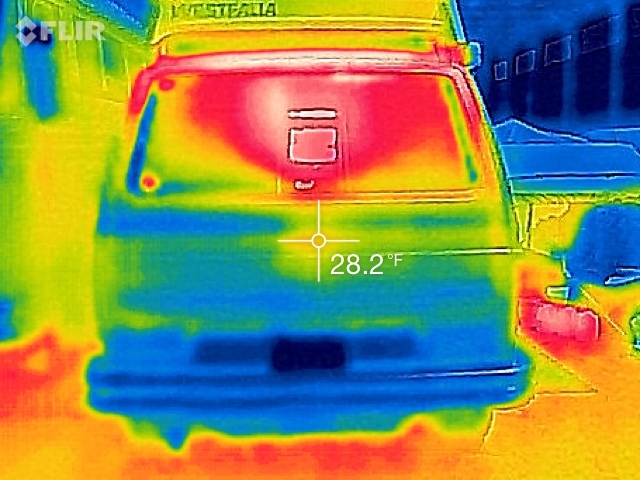 As you can see, the rear hatch thermal really improves the heat loss of the hear hatch. Most importantly, from a practical daily use perspective, it doesn’t feel drafty along the back hatch anymore. 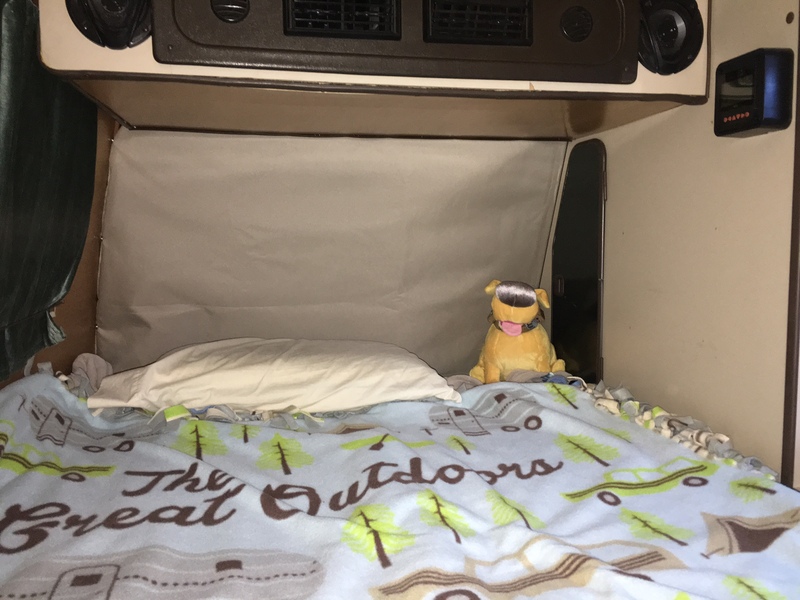 My van is feeling super cozy, and that makes me happy! 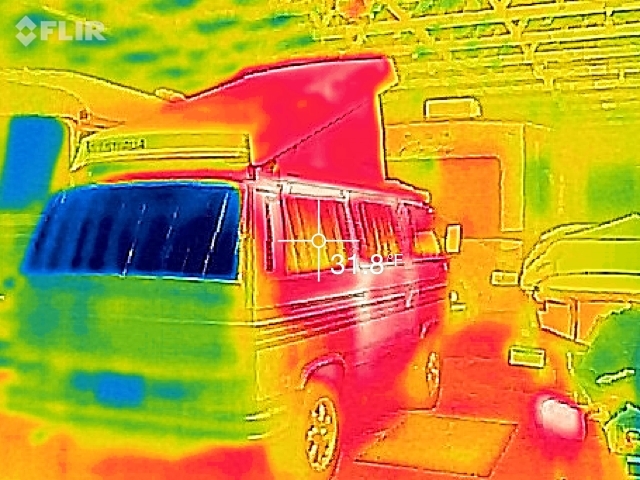 This is part 2 in my series about reducing heat loss in my Vanagon Westfalia. 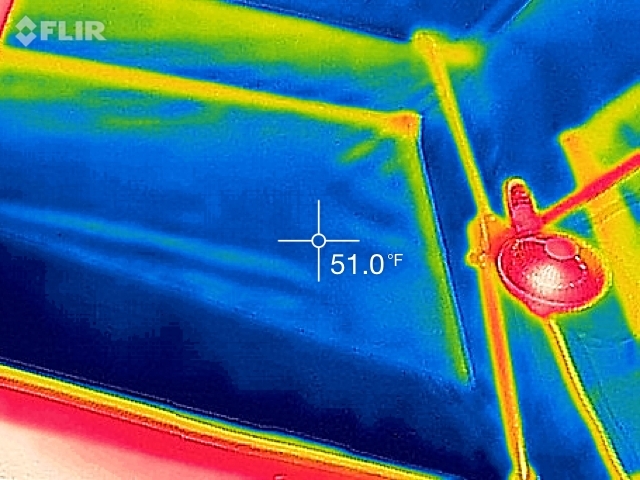 In this installment, I show the affects of insulation along the sidewalls of our pop-top tents. 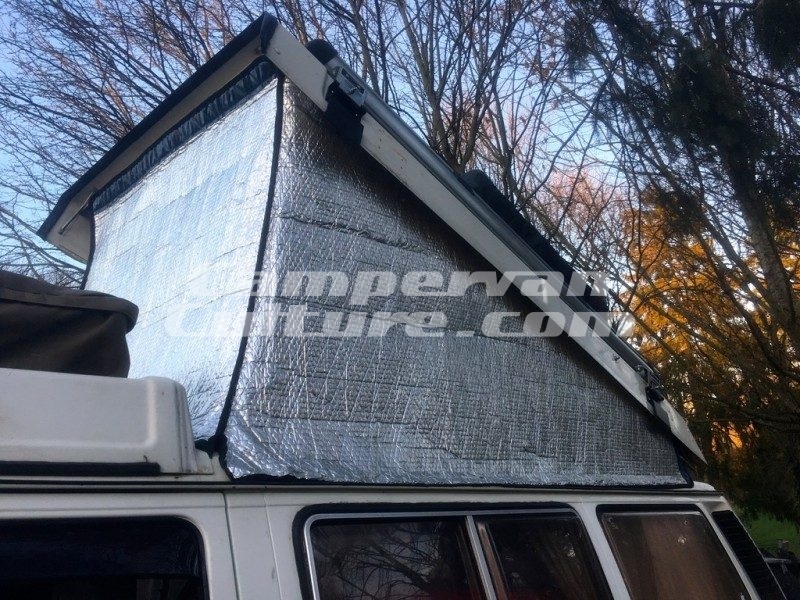 If you haven’t read PART 1 of this series then check it out here: VW Vanagon Westfalia Pop-Top – Reducing Heat Loss – Part 1- Roof. I did this test on the evening of December 31st, 2016. 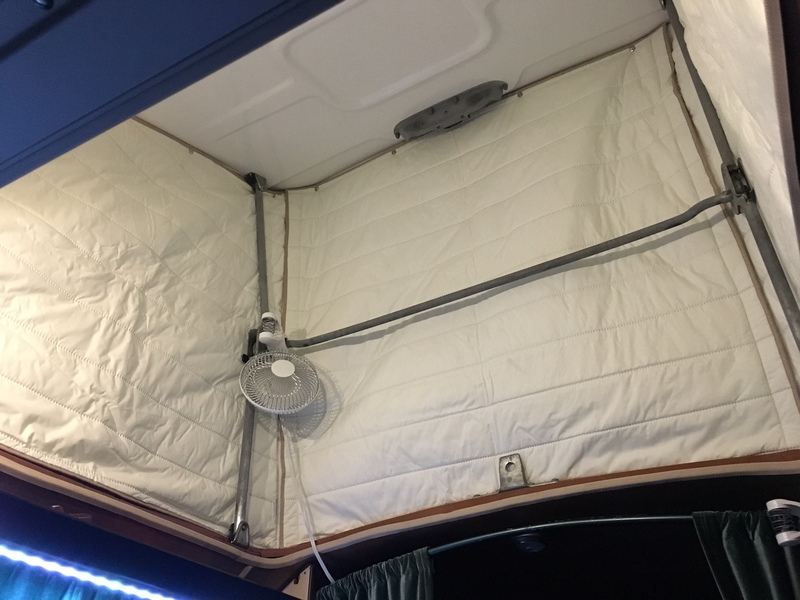 I started with all my tent insulation in place. With each successive test, I removed a layer of insulation. 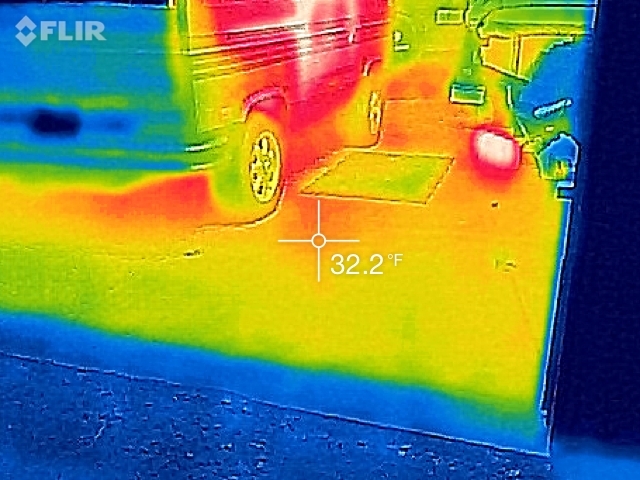 In addition, I waited about an hour after removing a layer of insulation before taking the next set of test pictures. i figured this would be enough time for the new configuration to stabilize and provide accurate temperature readings. 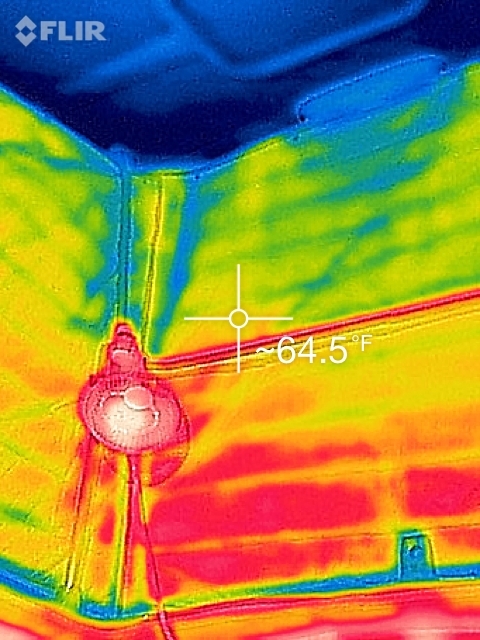 Like I mentioned in part 1, I have two layers of insulation along the pop-top tent walls. First, I have Fancher’s Pop-Top Thermals (R8) snapped into place. Next, I have that sandwiched between the tent wall and a layer of Reflectix you see in the picture below. 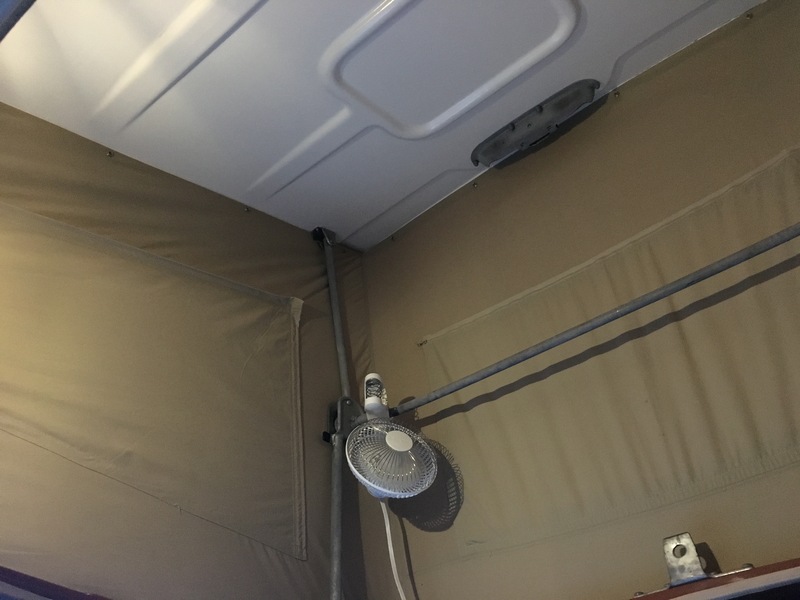 Here is a series of images taken from the tent interior. 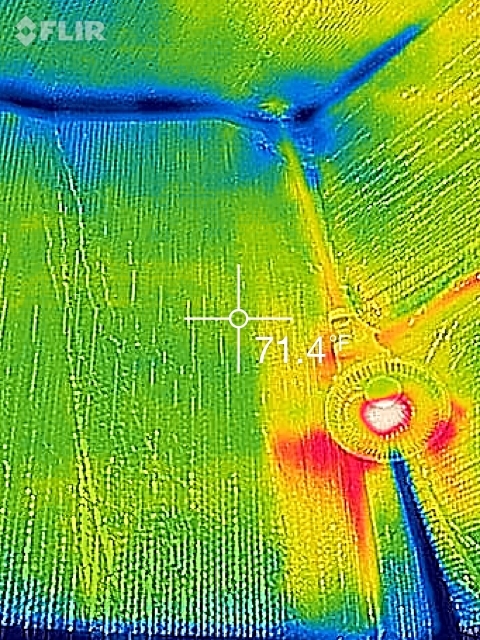 As you’ll see, the temperature loss with each layer of insulation that is removed is pretty significant. 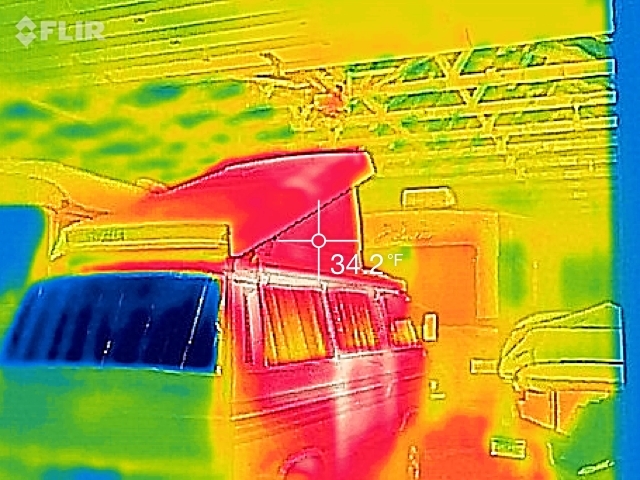 In the first image below, you can see that the INTERIOR tent wall (the Reflectix) is 71.4 degrees Fahrenheit. 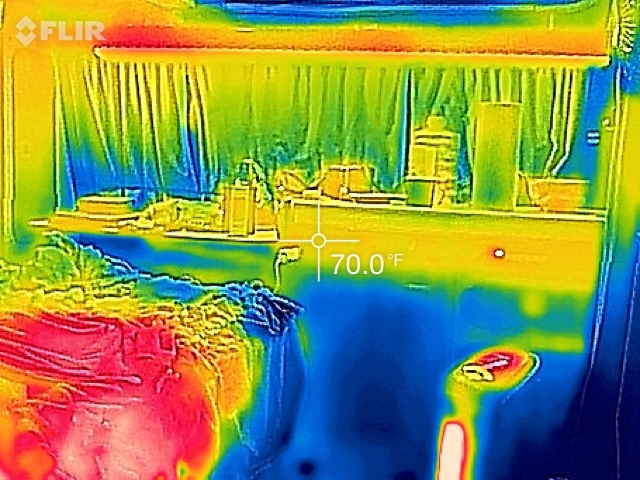 My temp reading at counter height was 70 degrees (see above), so the current insulation configuration is doing a really good job of keeping the heat in. 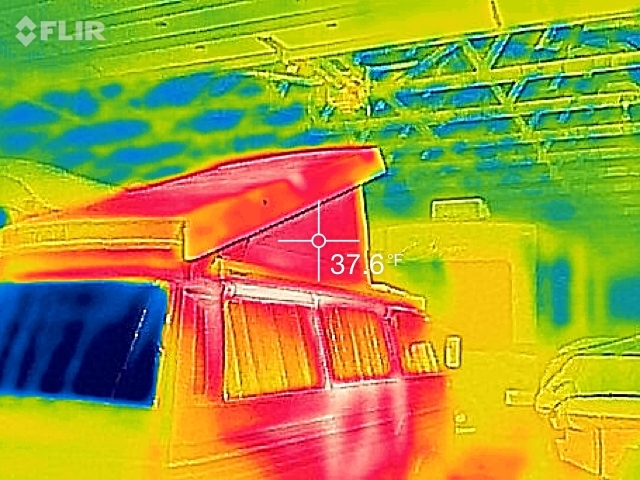 It’s warmer up higher in the cabin, as one would expect if you’re insulated properly. Warm air rises! I have a couple of fans in the cabin, which circulates the air, and helps with keeping a consistent temp from top to bottom. If I didn’t have the fans, i think my reading would have been higher for this image. 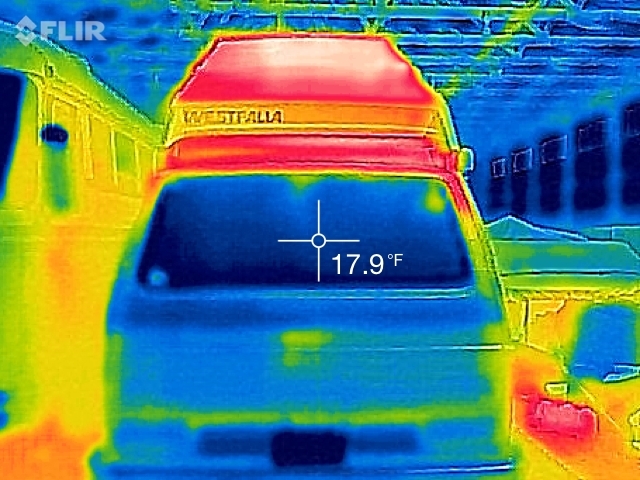 Here’s a thermal imaging picture showing a temperature of 64.5 degrees Fahrenheit with just the Fancher’s product in place. 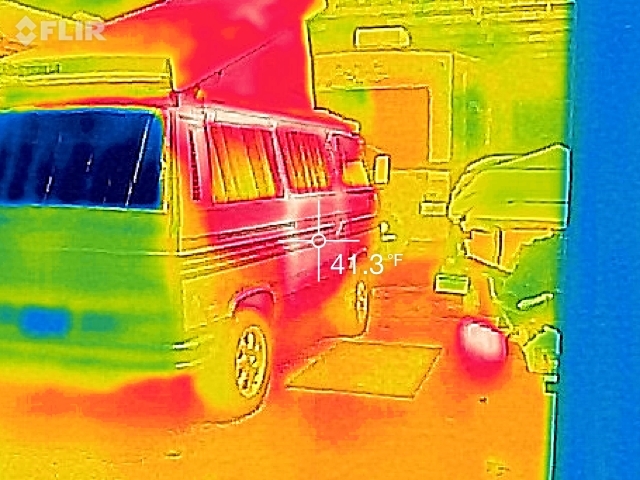 As you can see, the temperature has dropped about 7 degrees without the Relectix in place, despite the baseline cabin temperature still being 70 degrees. This is still really good, considering it was about 30 degrees Fahrenheit in the barn. 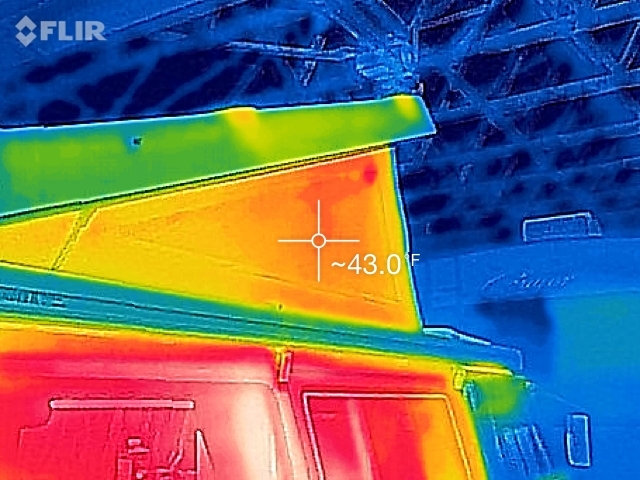 Here are some additional pictures showing the EXTERIOR temperatures of the tent walls. Remember, it’s about 30 degrees Fahrenheit in the barn. 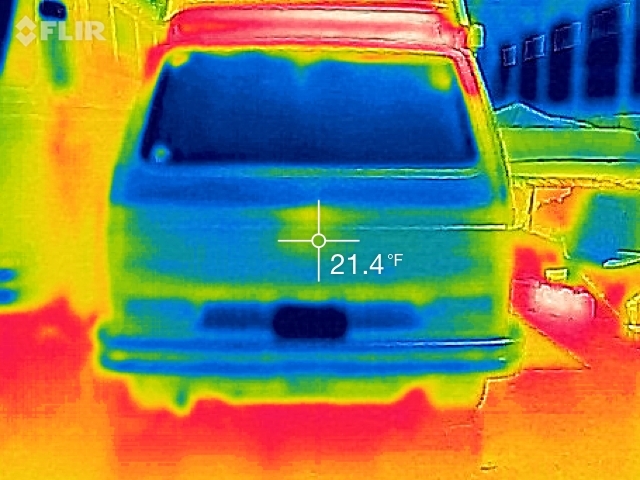 I’m not quite sure why the temperature change from each image to the next isn’t as dramatic as the interior temperature readings, but there is definitely a difference. Like in part 1 of this series, I learned a lot from this test. 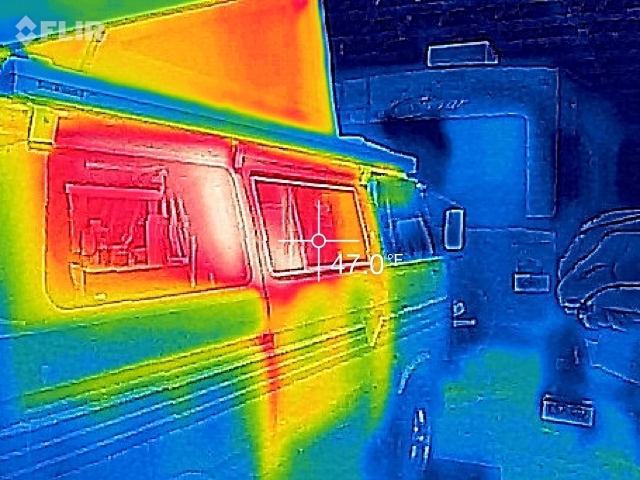 The insulation dramatically helps with keeping the heat in. That 2nd layer of Reflectix helps a lot too! I think in the end, if I’ll be camping for a couple days at a time in the winter, then the Fancher’s R8 thermals are more than enough. I guess that decision would depend on the outside temperature too. If it’s in the single digit temperatures, as it often is in Michigan, then I’d probably opt for both layers. The Fancher’s thermals are not cheap, but they’re extremely well made, look fantastic, are easy to snap into place, and fold up nicely into their own storage bag. 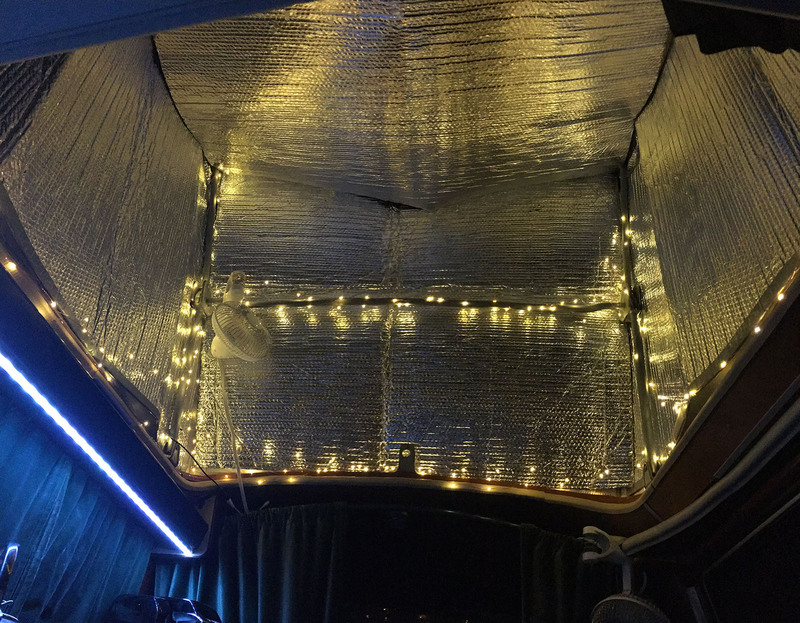 The Reflectix works well too, but just isn’t aesthetically pleasing for the inside of the camper, and doesn’t fold up quite as nice. For some, that may not matter and it’s certainly a much less expensive alternative if all one cares about is keeping warm. 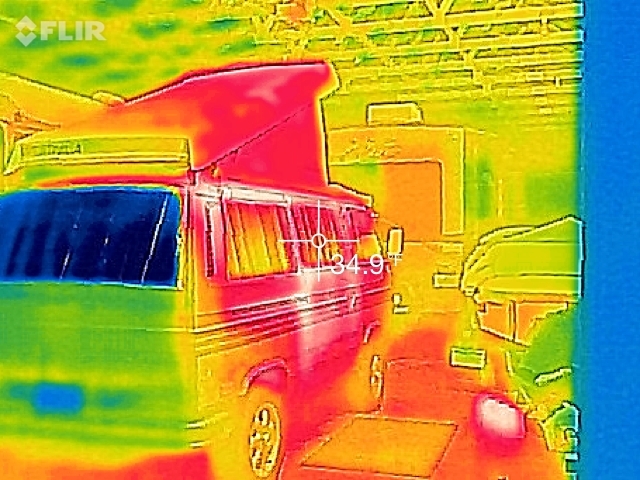 If you’re living in your van, or camping for longer periods of time, I’d highly recommend the extra layer of insulation (Reflectix in my case) as it really does help things out. 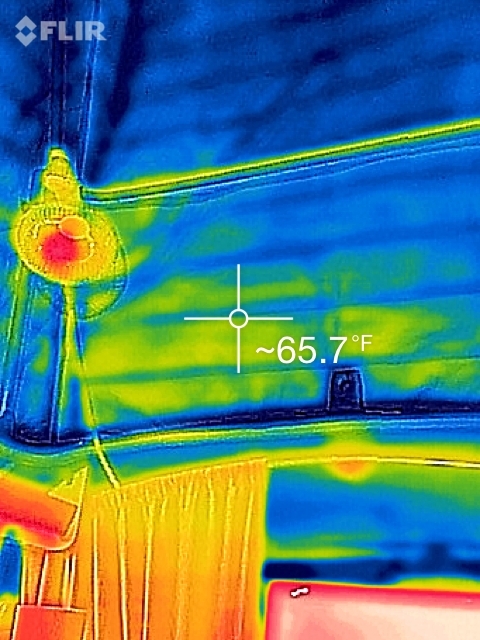 I know one thing… With each layer of insulation, my heater ran much less and didn’t have to work nearly as hard. 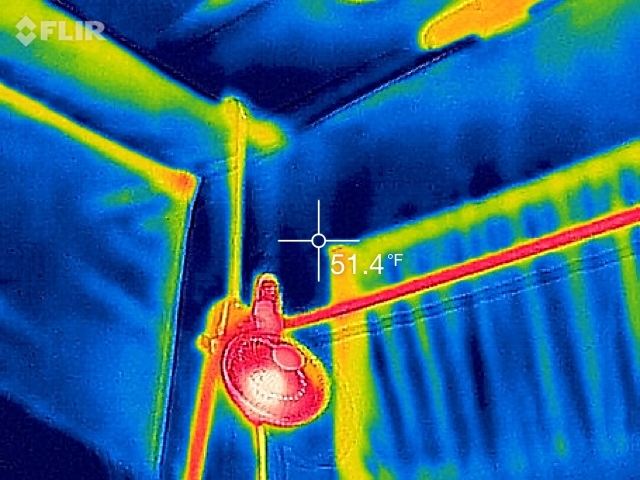 With no insulation, the heater NEVER shut off and worked hard to keep up with the heat loss. NOTE: As I was writing the conclusion, I thought of one more test that I should have done. 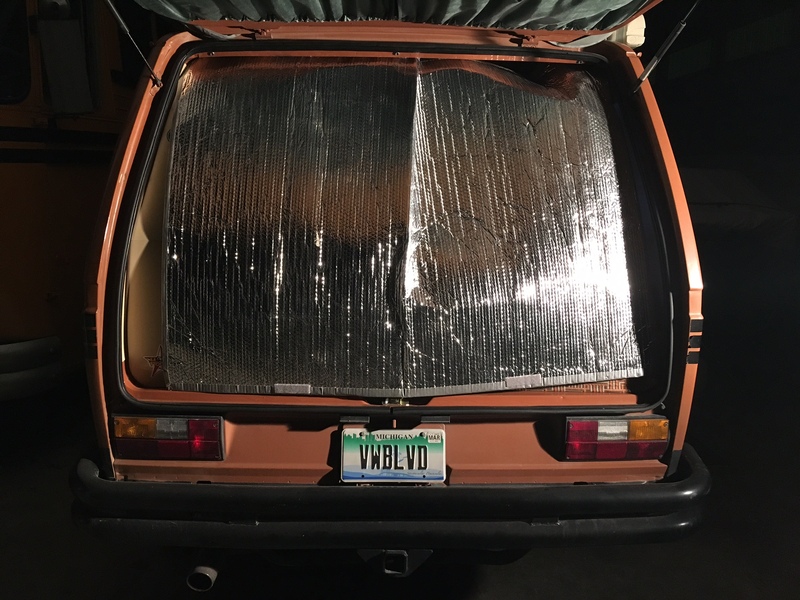 I should have tested with just the layer of Reflectix installed. This isn’t all that important to me, as I love my thermals from Fanchers, but it may be helpful to someone else. Stay tuned for that in another blog post! Thanks for reading! 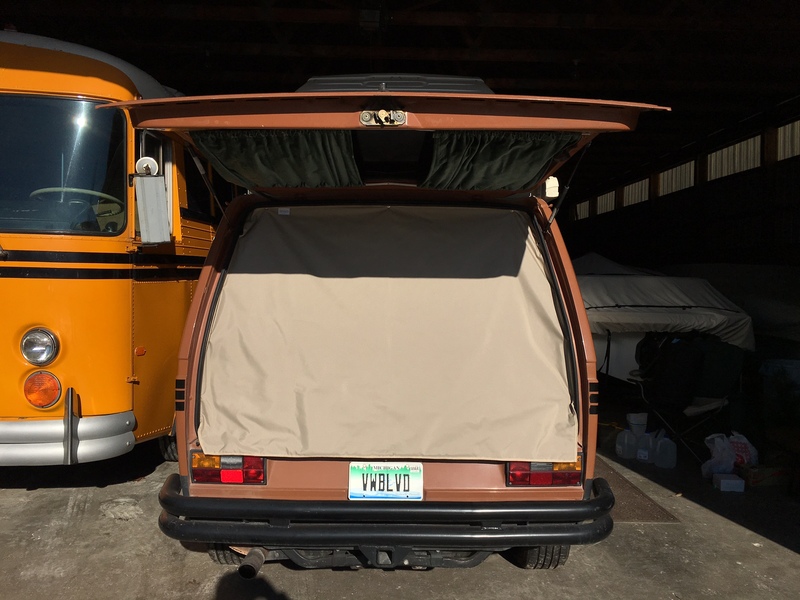 This entry was posted in VW Vanagon Westfalia on January 1, 2017 by Wolfy.